so here is my new project "BIRTHDAY BLESSING" (12*12) mixed media layout which is i specially made for the participate in different challenge of the months. This is my first post for the any challenge so little bit confuse that how to do or not... but special thanks to Hussena calcuttawala to guide me.. 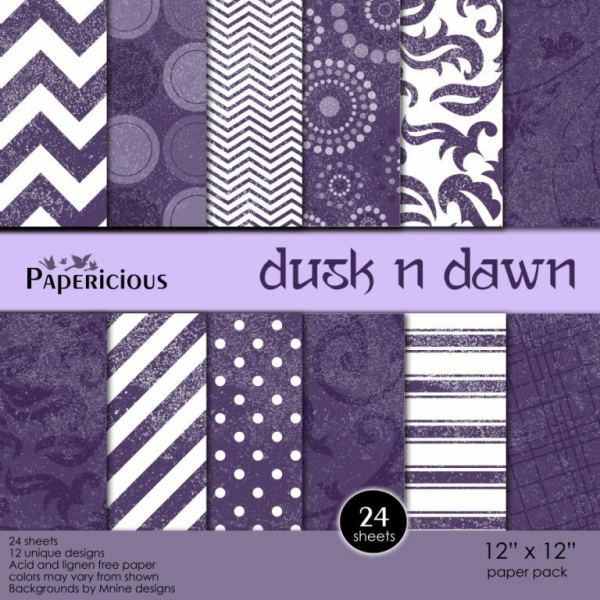 I made this layout with Papericious "Dusk n Dawn" collection.. I just love this paper pack from papericious. so this layout only made with this front page of this collection.. its not necessary to use only papers but we can create with the cover page also. 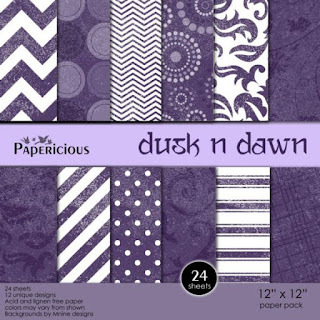 so this is the Papericious cover page of Dusk N Dawn collection which i used in my layout.. I also used many other products like gesso , texture paste , water colors , wooden chipboard , some tags etc etc... but I just want to high light these paper.. I am participate in this challenge.. WOWZERS!!! This is absolutely fantastic!! Payal you did a wonderful job! Perfect take of purples in lovely layout. Thanks for playing with our Papericious challenge and good luck! This is such a wonderful layout! Love the details and the colors! Thanks for playing along the Papericious challenge! love the LO! great work!